Mr. Kirchhoff is the President and CEO of Weight Watchers International, the world’s leading provider of weight management services. In this role, Mr. Kirchhoff oversees a network of more than 56,000 employees and service providers around the world. Each week, approximately 1.2 million members attend over 45,000 Weight Watchers meetings. His organization is also responsible for WeightWatchers.com, which offers subscription weight management product and makes available robust tools and related mobile applications to members, as well as to over 1 million active Weight Watchers Online subscribers. Mr. Kirchhoff’s business philosophy is grounded in the belief that obesity prevention is achievable and can be realized through a combination of smart governance, industry support and community empowerment. 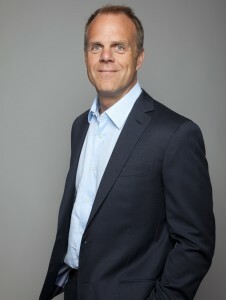 Prior to becoming President and CEO of WWI in 2006, Mr. Kirchhoff held several positions within the company, including Chief Operating Officer for Europe and Asia. Mr. Kirchhoff was part of the original management team of WeightWatchers.com, Inc., and ultimately became its CEO. Mr. Kirchhoff was also the Chief Financial Officer of the Enthusiast Media Group of Primedia, Inc., a print and digital content provider; Director of Corporate Strategy and Development for Pepsico, Inc.; and a manager and consultant with The Boston Consulting Group in Washington, D.C.
Mr. Kirchhoff holds a B.S. in Biomedical and Electrical Engineering from Duke University and an M.B.A. with High Honors from the University of Chicago Graduate School of Business.